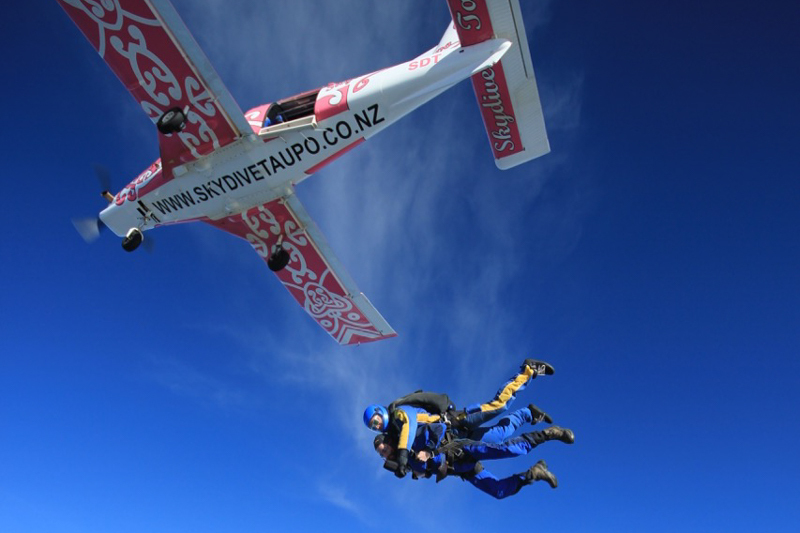 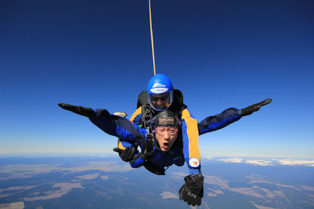 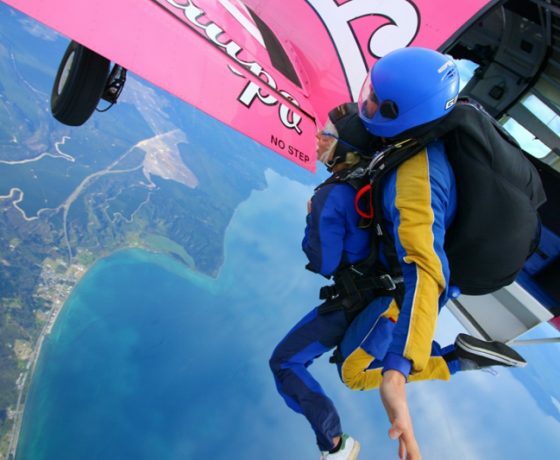 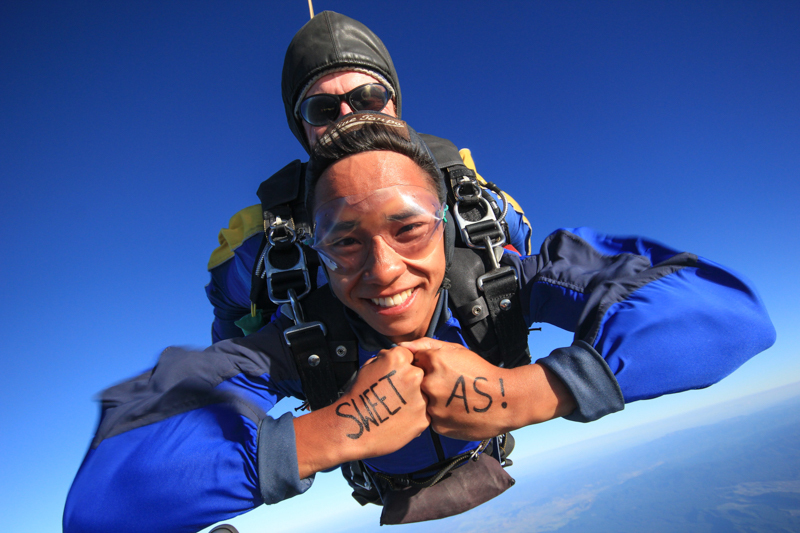 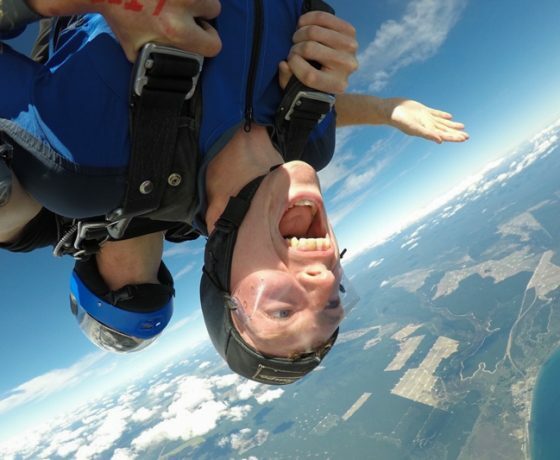 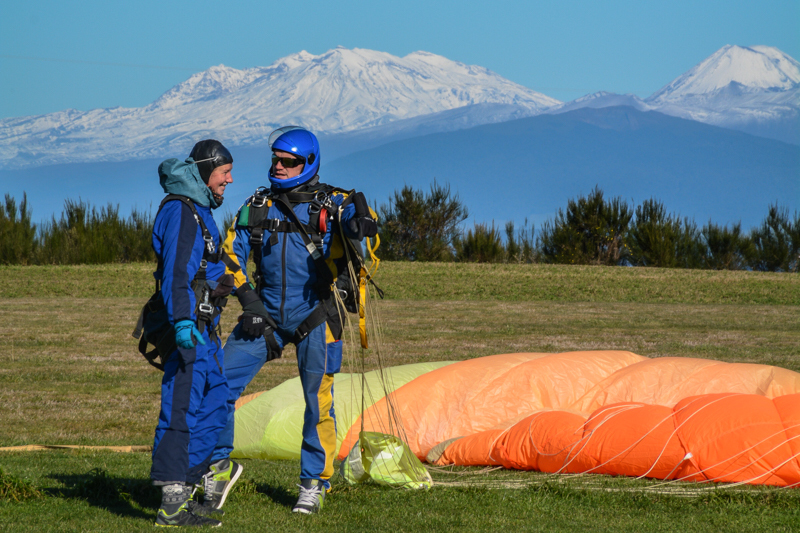 Experience a 12,000ft jump over one of the best skydiving locations in New Zealand with Skydive Taupo . 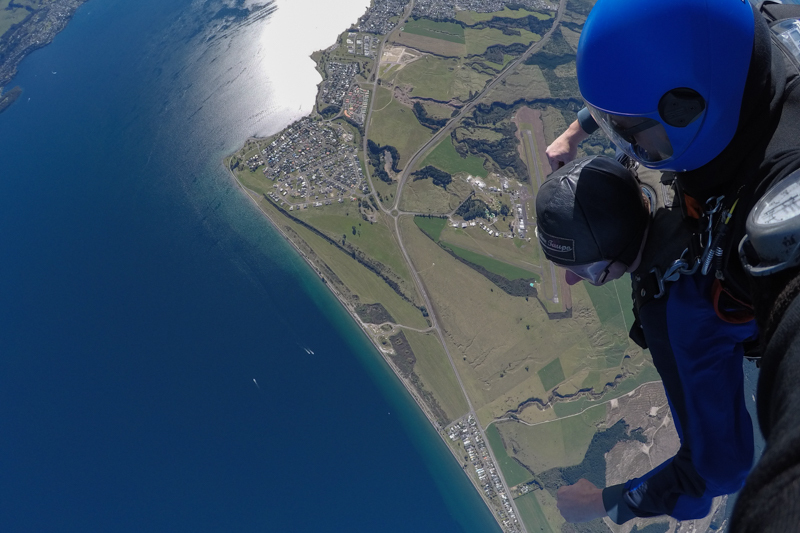 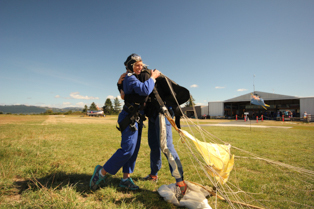 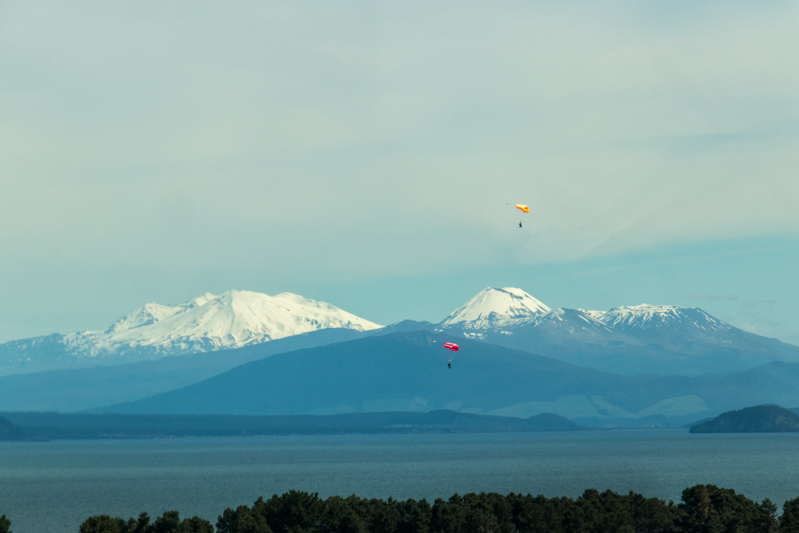 With its vast mountain ranges, lush forests, awesome geothermal activity and NZ’s largest lake, it’s no wonder Taupo is the skydiving capital of the North Island. 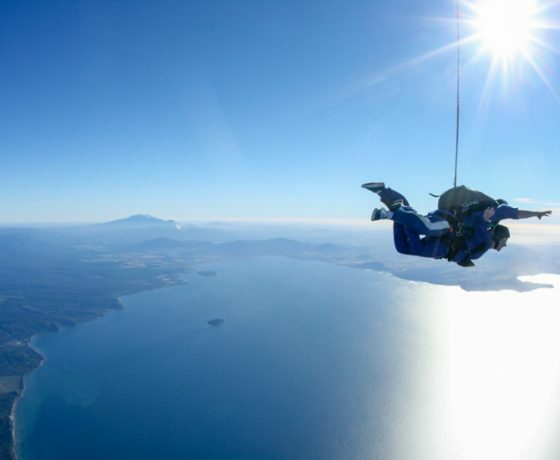 Be in awe of the outstanding views of this magnificent region as you climb to either 12,000ft or 15,000ft then take the leap of faith and experience a mind blowing 45 or 60 second freefall with speeds of up to 200km/h. 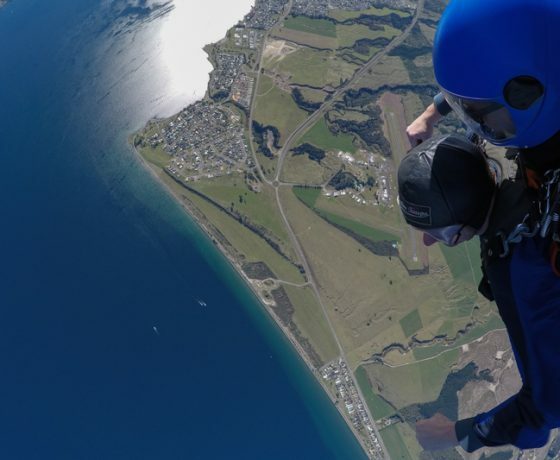 Once the chute opens, you’ll be able to catch your breath as you drift smoothly back down to earth before landing gently back at the drop zone. 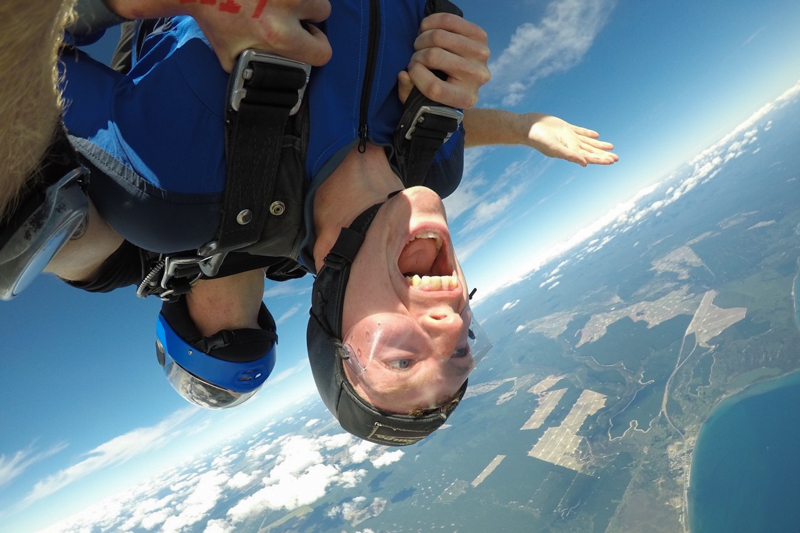 You haven’t lived until you’ve experienced a free fall adventure – Book yours today! 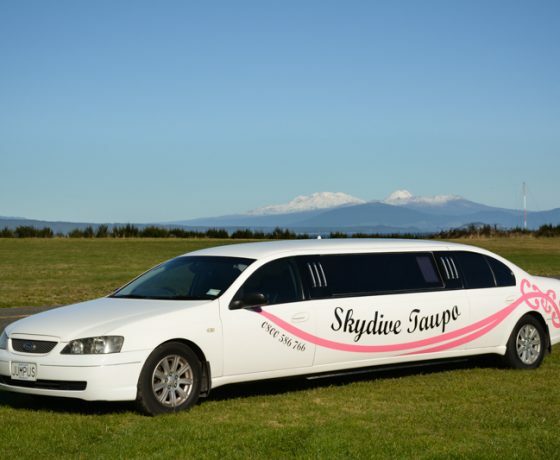 Begin your skydiving experience in style and be chauffeured from your local accommodation to the base in Skydive Taupo’s stretched limousine to Taupo Airport, which is just a short 7-minute journey from the centre of Taupo. 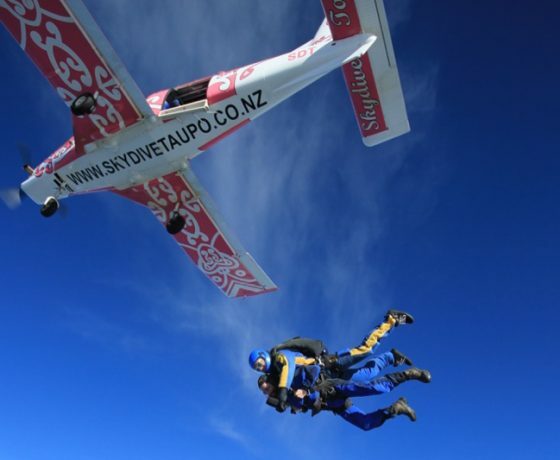 The Central North Island is the best place to immerse into the Maori culture. 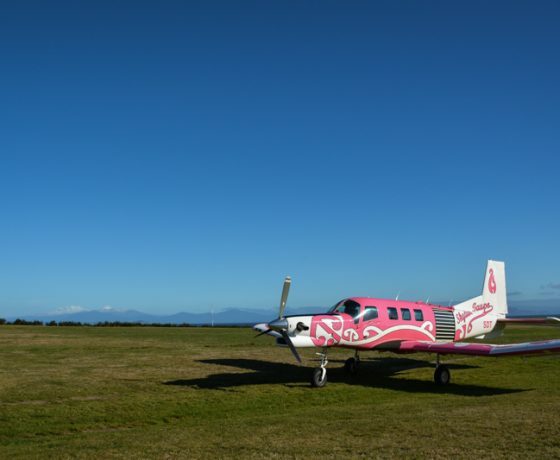 The team at Skydive Taupo take that very serious, so they’ve decided to cover their plane with Maori patterns to show respect and appreciation for the land we’re in. 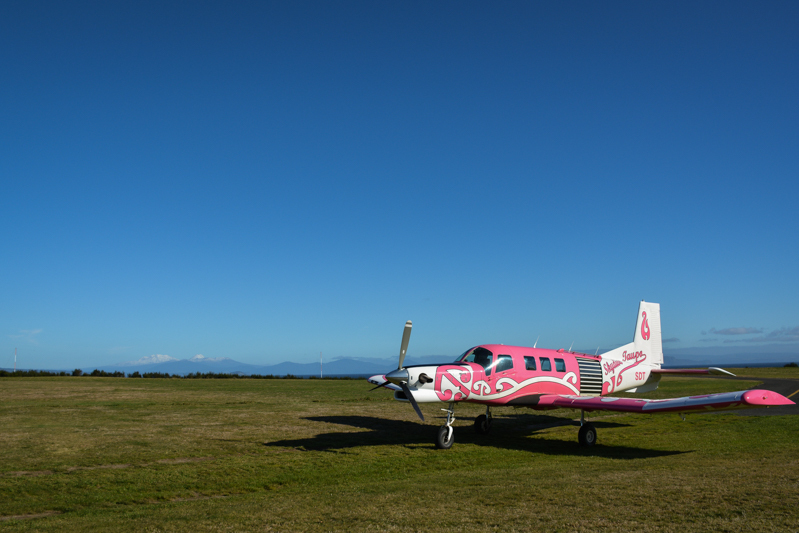 And they added a pink twist to it. 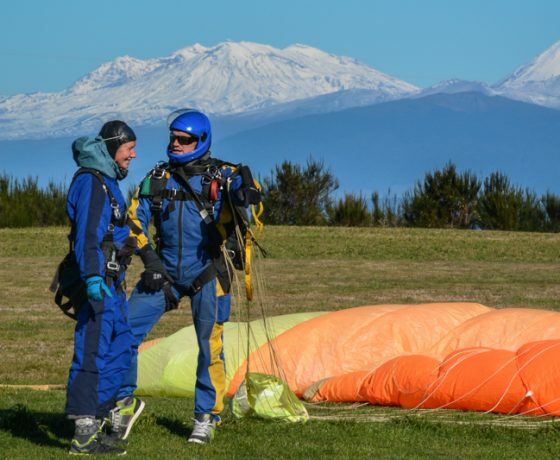 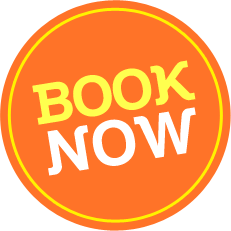 The Maori “Manaakitanga” – hospitality – is also taken very serious by these guys, with friendly staff who will make you feel safe and relaxed, as you’re about to experience the best day of your life! 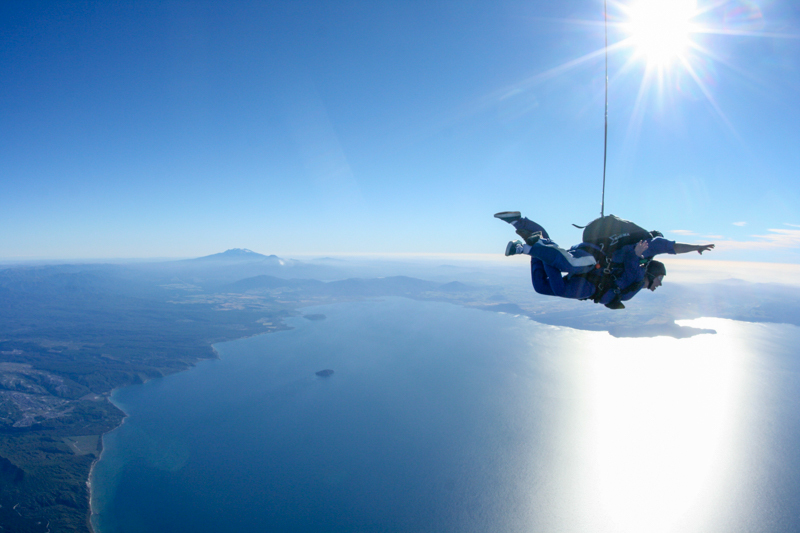 Aboard their unique plane, you will take a spectacular scenic flight as a window-framed taste of the view to come. 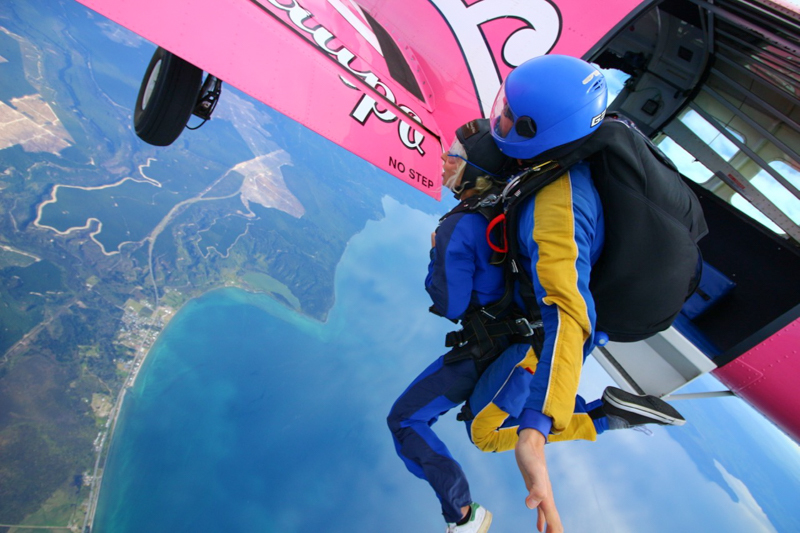 Reaching height the door opens and the adrenaline kicks in. 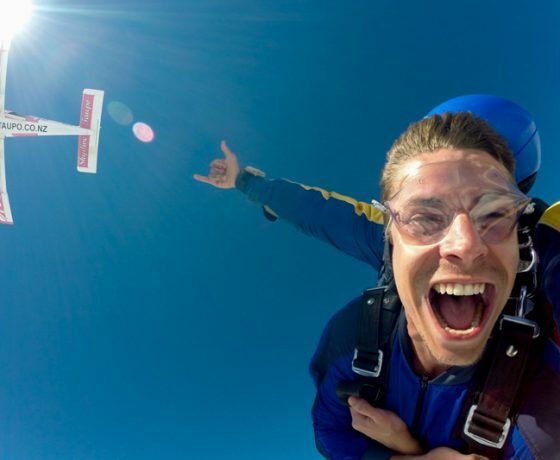 Be prepared for the adrenaline rush, as you will free-fall at 200km/h! 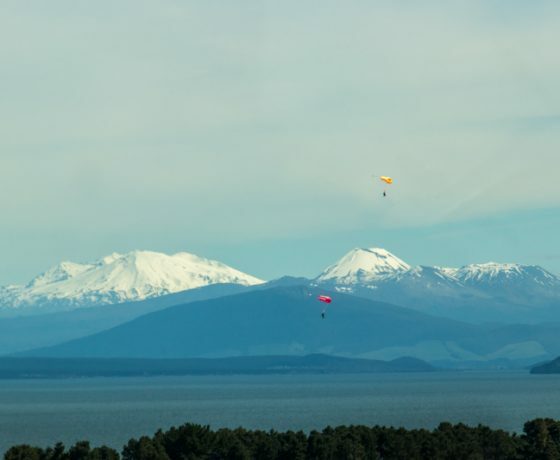 Make sure you keep your eyes open – you can now see from the East to the West Coast; from White Island to Taranaki; the gorgeous Tongariro National Park and the clear waters of Lake Taupo. 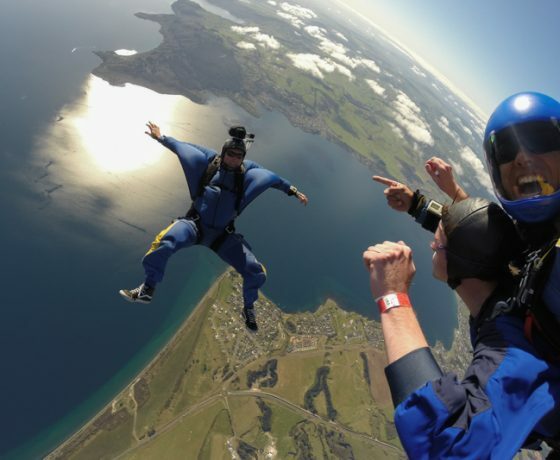 After the parachute ride and a soft landing you’ll be able to share the whole experience with family and friends as those guys offer exclusive camera packages where you can choose your own songs! 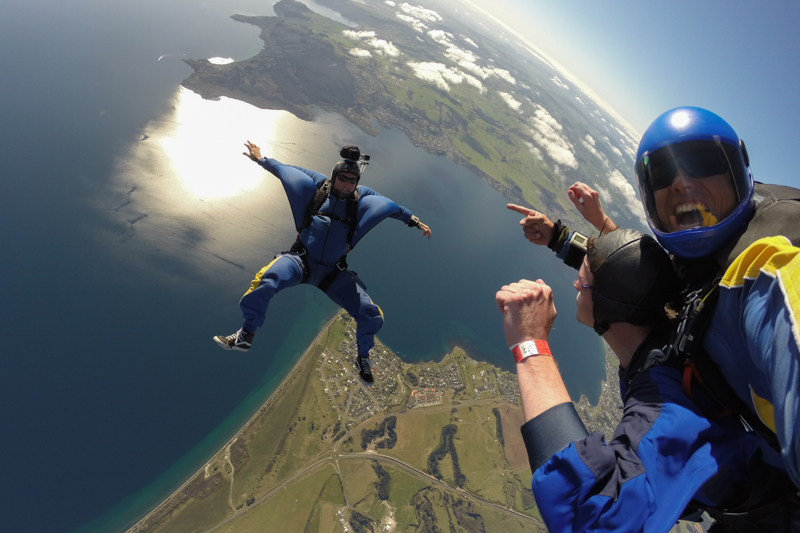 Your footage is professionally edited and will be sent to you, ready to be shared online, including all your four interviews. 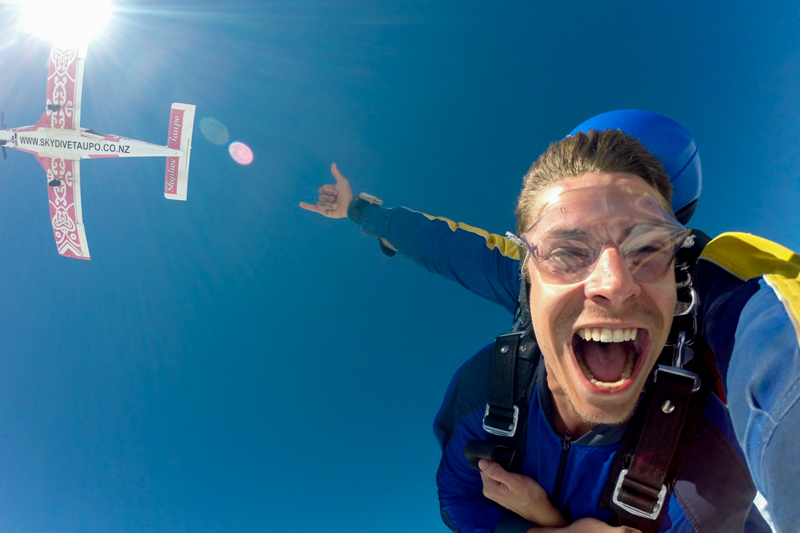 You’ll be able to re-live your emotions during the whole journey. 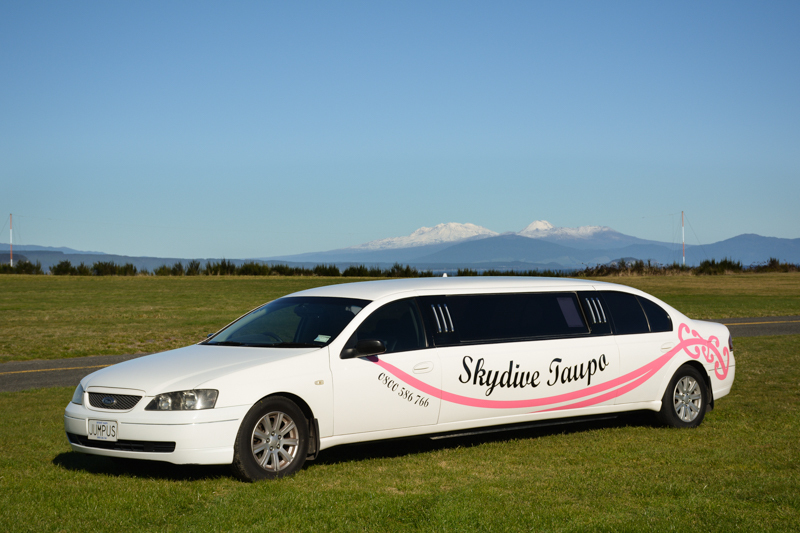 And if you need a ride from Rotorua CBD, we have a courtesy limo daily return shuttle.